Ouachita Baptist University will host its 34th Tiger Serve Day, sponsored by the Ben M. Elrod Center for Family and Community, on Saturday, Sept. 21. Tiger Serve Day is a day when 900 to 1,000 Ouachita volunteers meet at 8:30 a.m. to serve more than 100 families as well as non-profit organizations in the Arkadelphia community. Teams of six or seven members serve on projects ranging from painting and mowing to raking leaves and laying mulch. “Tiger Serve Day is all about connecting with people in the community and showing them Jesus,” said Jessica Stewart, a senior Christian media/communications and mass communications major from Mansfield, Texas. 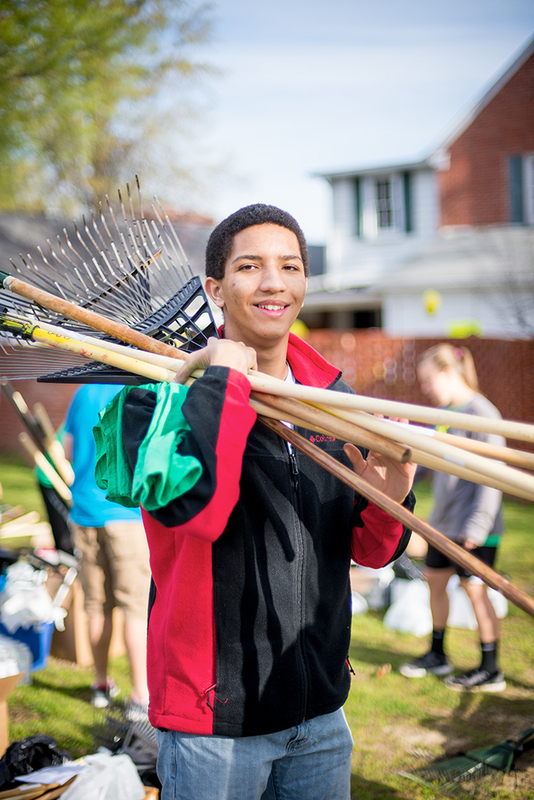 “It’s not just about raking leaves.” Stewart has served on the Tiger Serve Day Student Leadership team for three years. The leadership team consists of 20 students who meet in the weeks prior to the day to plan projects, meet with individuals in the community and organize volunteer teams. Tiger Serve Day’s theme this semester is “Simply Serve,” a theme Stewart relates back to the example of Jesus: “It’s really all about Jesus, and making him famous through a simple act of service. For more information about Tiger Serve Day, including registration information for needed projects as well as volunteers, visit www.obu.edu/elrod/tigerserveday or call the Elrod Center at (870) 245-5320.